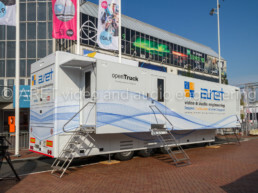 This OB trailer features two large expansions on both sides. 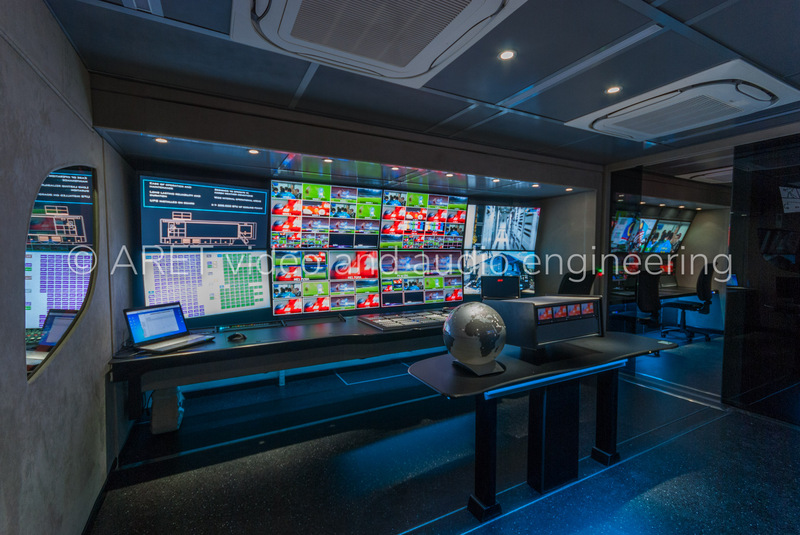 The interior is divided into six wide operational areas plus a dedicated equipment room. 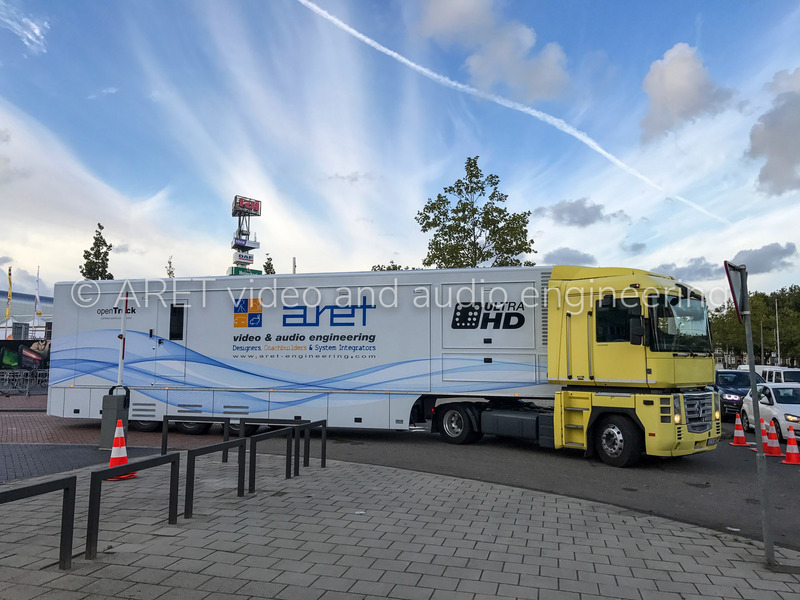 It can be configured up to 24 Ultra HD cameras. The acoustic insulated main audio room has stunning acoustics. A 5.1 calibrated surround system delivers high fidelity sound in an audio room that is suitable for any type of production. 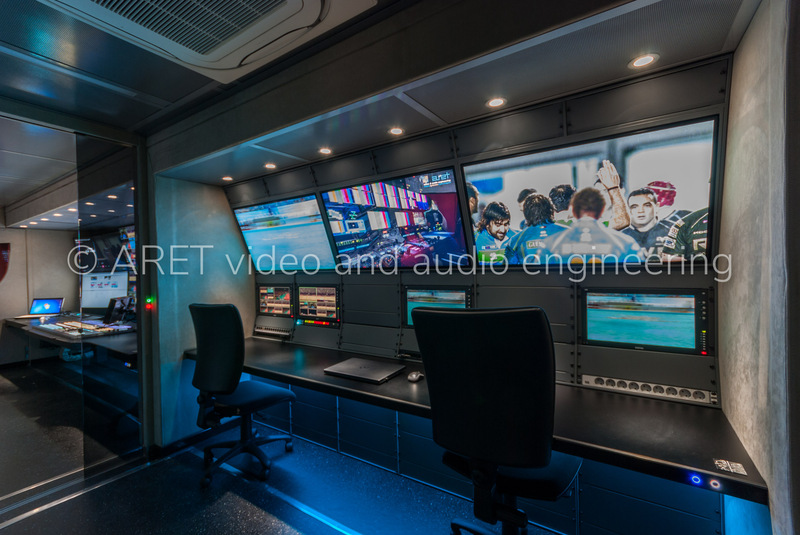 This room is equipped with the brand new The Ones audio monitors by Genelec. 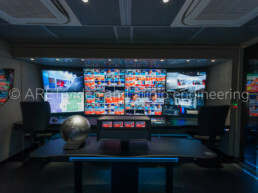 The GLM software allowed the smart monitors to be precisely fine-tuned based on the room dimensions. 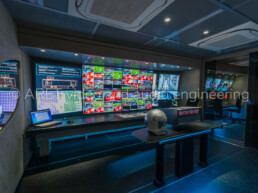 The main production area features a large 3D shaped monitor wall with a production desk that can be fully adjusted based on the operators and DOP preferences. 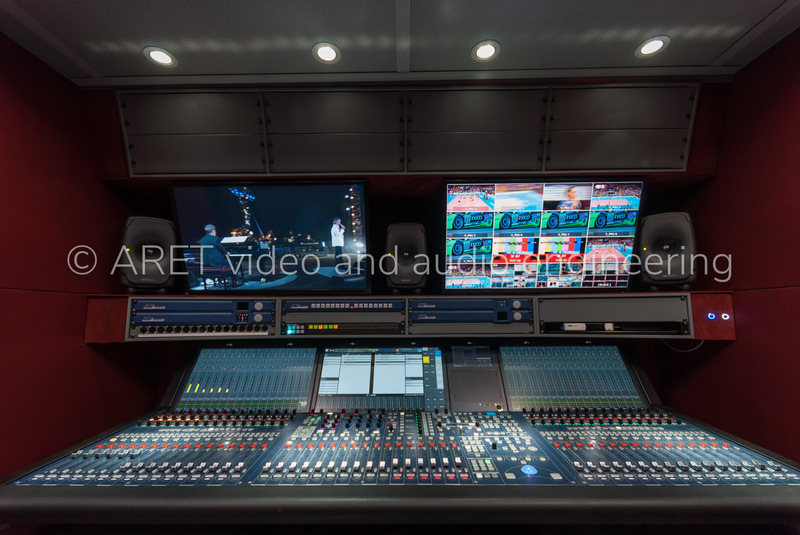 The same holds for the desk behind the main console, that can also be used by PAs and coordinators. 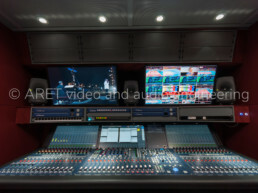 An automatic sliding glass door divides the production area from the camera control. 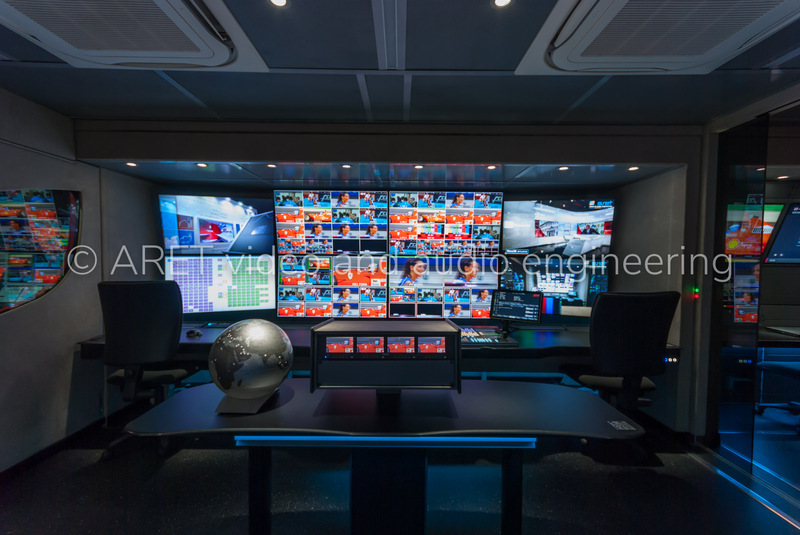 The full height glass wall of the second production room allows ease of communication between the operators working in the two environments. 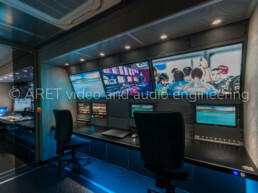 The insulated equipment room isolates the rest of the production areas from noise and vibrations. In addition, a fully redundant AC system is present in every area. 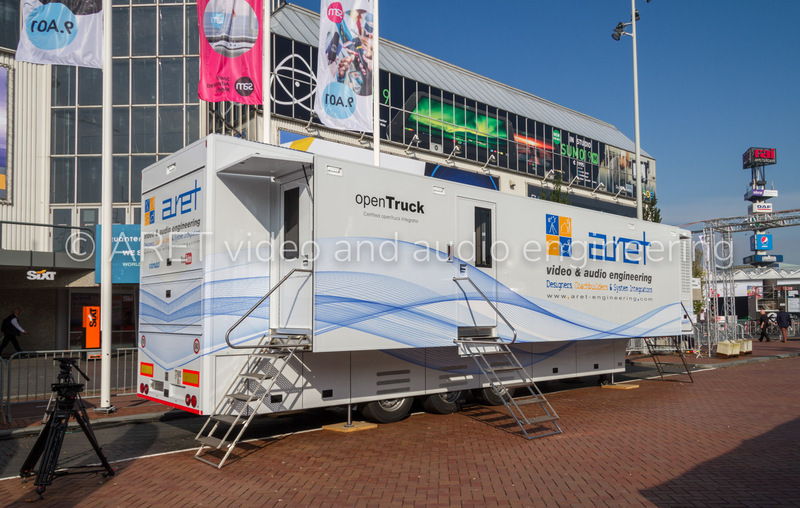 The OB Van is realized with the highest quality materials that, combined with the aesthetic design, make the trailer the perfect outside production solution.